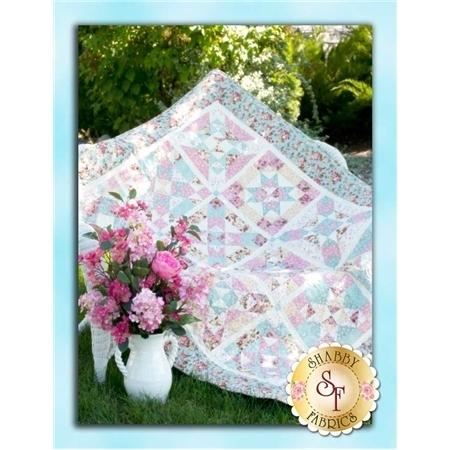 Bring your rose garden inside with the Rose Hill Lane quilt! This beautiful design is a Shabby Fabrics original. 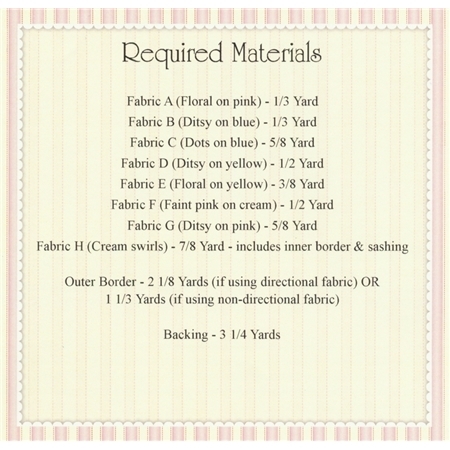 Finishing to 49 1/2" x 62 1/2", this quilt features basic piecing and is a great way to sharpen your skills.